Jessica Blackwell, the talented mind behind one of Australia’s leading qualified, professional and award-winning Equine Business’, Equestricare, has been working behind-the-scenes with Equissage to create the much anticipated, Introductory Certificate in Equissage. Launched on the first of this month, Equissage owners now have the opportunity to increase their knowledge and gain a greater understanding of the horse, particularly in the areas of body systems, muscles and Equissage techniques to suit a variety of conditions and maintenance programs. 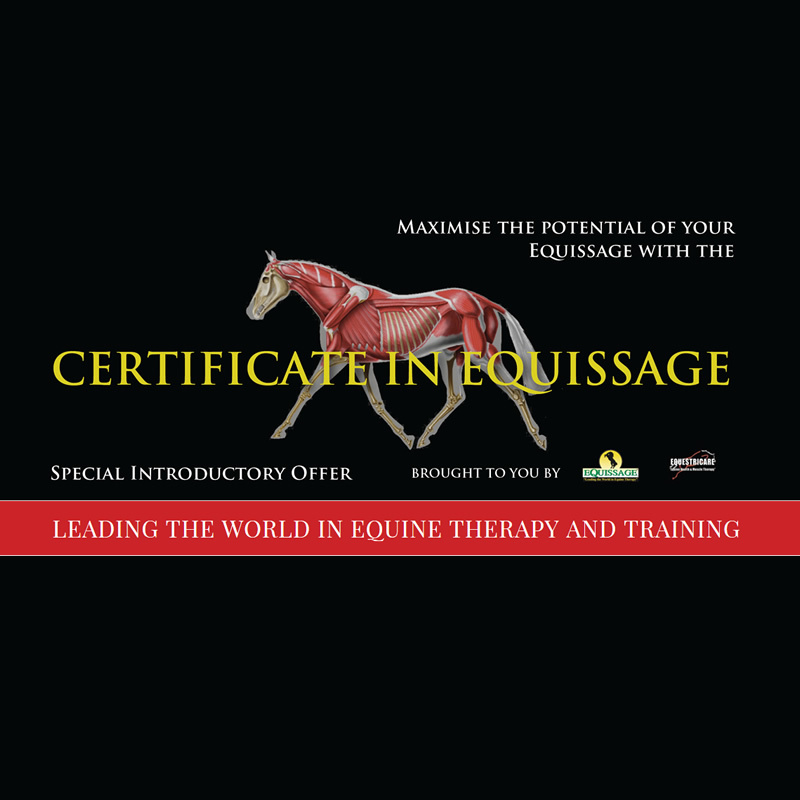 Aimed at everyone who has purchased an Equissage, the course will provide students with manuals on equine anatomy, evaluating the horse, muscles and Equissage techniques. Equissage have been leading the way in Equine Therapy and have been helping people and animals since 1949, while enjoying a strong following both in and outside of Australia with the use of their Cycloid Vibration Therapy units. To kick off the exciting news, Equestricare are offering the course at a special price of $99 for the month of April. The course will be available online through Equestricare and for a limited time only has available an introductory offer of $99, normally $249.